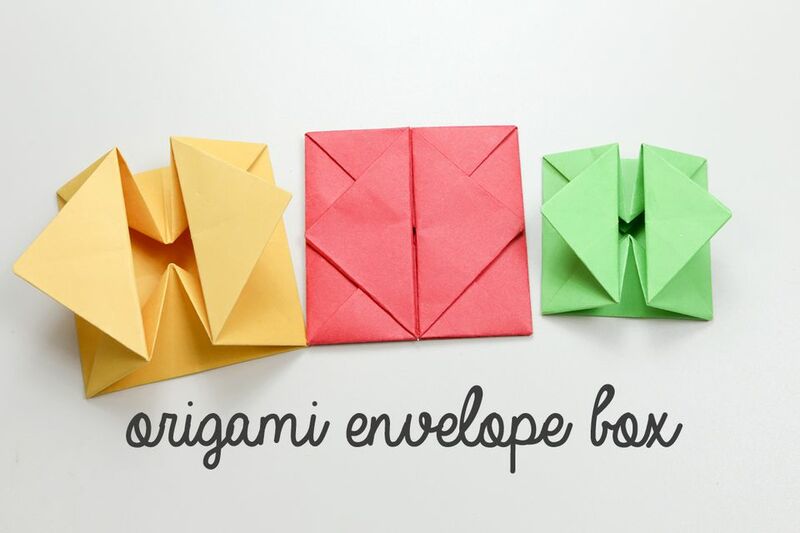 Learn how to make a nifty origami envelope box - this traditional origami model is very useful and can be used as a box or an envelope, it would make a nice invitation with the invite on a square piece of paper on the inside. This origami envelope could also be used to package flat things like hoop earrings, small necklaces, memory cards, teabags, stamps..! You will need one sheet of square paper for this, I would recommend thin origami paper, but it would also be nice with textured paper. 1. Start with your paper with it's white side facing up. 2. Fold the paper diagonally in half both ways. 3. Fold all four corners into the middle. 4. Rotate the paper so that it is a square. 5. Fold the top and bottom to the center, unfold and repeat for the left and right edges. 6. Unfold and this is what you should have. 7. Unfold the top and bottom flaps, fold the bottom section up as shown. 8. Fold the bottom section up again. 9. Repeat for the top flap. 10. Open the left and right flaps. 11. Fold the right flap over to the left, signing with the second vertical center crease from the left. 12 - 14. Push in the bottom left corner, and flatten upwards creating a squash fold. 15. Repeat for the top right corner. 16. Fold the flap in the center back over to the right. 17. Fold the left corner over to meet the right corner. 18. Repeat the squash fold on the bottom left corner. 19. Repeat the squash fold on the top left corner. 20. Fold the flap over to the left to match the right one. 21. Open out the 'box'. 22. Flatten the top and bottom edges. 23. Squash the box completely. 24. Fold the right flap over to the left. 25. Fold the left side of the flap back over to the right. 26. Fold the top and bottom corners of the flap to the center creating a point. 27. Repeat on the left flap!